Save the Date for the 3rd Annual “Taking Flight: Hope for the Future” Scholarship Awards Ceremony! Ryan’s story is one of tragedy and triumph. 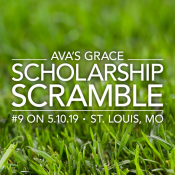 He is a true survivor who embodies the three guiding principles of Ava’s Grace Scholarship Foundation: Hope, Family, Future. Come hear Ryan’s story and his message of hope to our former and future scholars and hear from the scholars themselves. It will be a special day you won’t want to miss! Download official details via downloadable PDF!